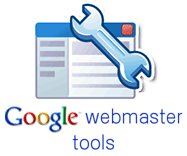 ﻿ Google has updated its Webmaster tools to add a new feature to enable the webmasters to add crawl alert forwarding to their inbox in case Google finds some issues related to the crawling of the website. What's this new Crawl error alert feature? Now, Google would send messages to your webmaster account in case it finds any issues related to crawling of your website. You may also forward the messages to your inbox by activating message forwarding. What type of Crawl errors are supported? Site Error Alert - Serious error where Googlebots faces issues with site crawling like server misconfiguration, robots.txt inaccessibility etc. Url Error Alert- Most common errors with websites like 404 not found errors. Google sends alert only when they encounter a large number of errors for any of the five categories of errors (Server error, Soft 404, Access denied, Not found or Not followed).